12th March 2019: The Flaparap Shop has closed. Thanks to everyone who supported me in this venture. If you want to make your own Flaparaps, there's a pattern coming soon (add your email here and I'll let you know when it's ready). If you have Flaparaps and need more pads, contact me for instructions. Best wishes, Born Ready Jenn. I'm afraid it's no longer viable for me to run it. I've shipped Flaparaps to 31 countries - which is amazing! I have lovely letters of thanks from ec-ers from all over the world. I've had customers return to update their Flaparap stash when their second child appears on the scene. I've had updates on potty training success from customers who bought 12 - 24 months previously. Really, it's been wonderful to make so many ec-ing lives that little bit easier. Thanks to everyone on here who supported me from the beginning - from testing the prototypes, to buying the finished product. If you're thinking of setting up a manufacturing business of your own, I'm sure the story of my venture would be of use to you. I'll try to bash out a blog post in the near future. As for me - I'm still playing with new ideas, but these days they're mostly electronic (I'm a software developer) so I have a lot more control over both the manufacturing and the delivery - phew! (1) Choose Your Flaparap, (2) Choose Your Belts, (3) Add Loads of Pads. These photos are to help with sizing. They're all standard sized Flaparaps. The quick-dry Hullabablues are worn by a diddy 6 month old. He has room to spare in the small belt. The wool Sheepishly Green, cotton Mini Monkeys, 'Stremely Stripey, Feeling Foxed and Triffic Traffic are all worn by a very chunky 18 month old weighing 28lbs (12.7kg). He's still fine in the large belt. Currently on my second child with flaparaps and I love them! The starter pack for us has been fantastic. We wear flaparaps at home and on short journeys out and about (e.g. Tesco/school run etc) and then use disposables at night and on longer trips (e.g. if we are going to be in the car for a significant amount of time!). For our lifestyle 3 flaparaps and 18 pads is enough. With 3 kids there is forever a washload going in the machine so we don't run out. At 4 months old, there are days #3 can be dry all day (hooray) and other days that he can go through 4 pads in an hour (teeth!!). We took him camping for a fortnight when he was 12 weeks old and he lived in his flaparaps. Last time around, with #2, we also had much the same approach and 3 flaparaps in rotation. We had to wash them after every miss by the time he was potty trained (at 24 months) because he flooded them! (Fortunately not too many misses by that stage.) We used disposables at night until the end. My baby prefers these to paper nappies as he has a greater freedom of movement, and in the summer they are definitely cooler. We love flaparaps in our house! The starter pack of flaparaps has been so helpful for us in our ECing. I started out a bit dubious of the wool Flaparaps, as it took 3-4 times of lanolising to get them to a point where the wee wasn't going straight through the wool. But, I am SO glad I persisted as in the long term, I find I much prefer these to the PUL ones. So thankful I found Flaparaps! I've been doing baby led pottying with my daughter from birth (now 2 months old), and flaparaps have been wonderful! We love flaparaps and love this fabric. I love this minky fabric, it is my all time favourite. Brilliant. Wool all the way. We've never looked back, they are absolutely brilliant and I would highly recommend them. When we started on the EC journey, we muddled through with disposables for the first few weeks. This doesn't really work on a number of levels. Taking the nappies off and putting them back on takes forever, they wear out quite soon and you can't do a discreet dream wee without waking bubba up. While they aren't cheap, Jenn's Flaparaps solve all these problems and are near enough basic equipment for anyone serious about full-time EC. - G. Emanuel, father of one, London, UK. Flaparaps are brilliant, potty offers become so easy, misses are sorted in seconds, changing mobile babies is no longer a fight. Practical, small and light, my baby loves them as much as I do... I had to use a disposable the other day (1st time in months), you should have seen the look of disbelief on her face! They make you realise how wrong conventional nappies are, and wonder why nobody invented them sooner. 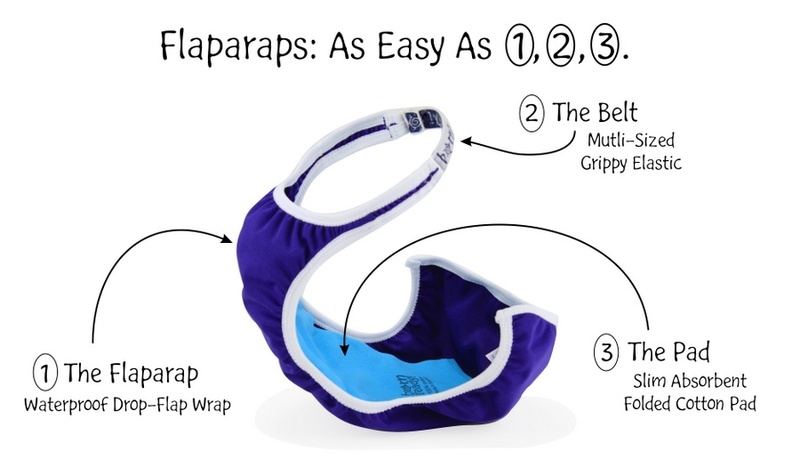 Flaparaps are a winner, they should without a doubt be the norm. And if that wasn’t enough, they look good too! - Cath M, mother of one, London, UK. Wish I'd Found You Earlier! 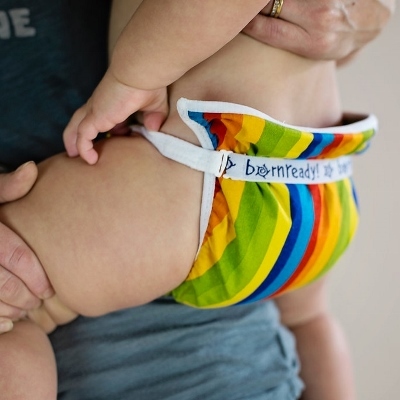 I really wish I had found you before I had my baby.I used cloth diapers with my first son after he was year old and after I had my second baby I stocked up on new cloth diapers but all the while knowing that I wanted to use EC - full time if possible. But the problem was it took too much time to get the diapers off my baby to consistently use EC, so I've only been doing it part time - whenever I can. Then I bought Flaparaps! If I had had these from the very beginning it would have been much easier to ec full time. - Elizabeth B, mother of two, UK. Flaparaps are truly a marvellous invention. I think Flaparaps are the future! 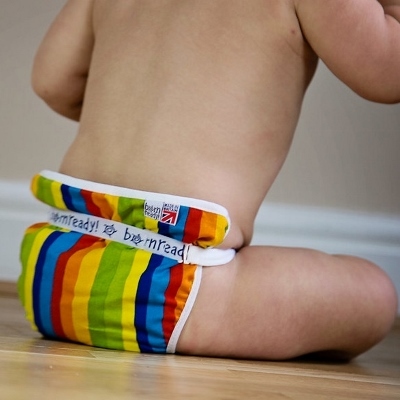 Best 'nappies' I ever tried!